When growing cannabis, the soil is one of the most important factors, as it contributes to the plant directly. By providing nutrients through the roots of your plant, your plants’ height, yield, and health will all depend on the soil that you use in your grow setup. This is why choosing the right soil for growing is crucial in making sure that you get good yields and have healthy cannabis during the harvesting phase. However, choosing the right soil may be hard since there are so many things to consider and so many options to choose from. So, if you are wondering about what is the best soil for cannabis, you have come to the right place as we have compiled a list of the ones we have considered the best to use. There are many types of soil that you can use to grow, but there are only a specific few that we recommend that you use along with additional nutrients you can use to increase the number of nutrients inside of your soil. Before we get into the best soil for weed, it is important to note what your plant actually needs. During the vegetative phase, cannabis likes a lot of nitrogen in the soil, but during its flowering phase, it requires less nitrogen but more phosphorus. pH also plays a role, so make sure that the pH of the soil is between 5.8 and 6.3 as too much acidity or base will cause your plant to deflower. You also have to decide whether you want to use natural soil with concentrates of nutrients, nutrients to implement into the soil, or hydroponics if you’re a bit more experienced. It is important that you decide between the three because they all vary in prices, growth rates, and yield rates. Even though the soil is usually easy to find, and there isn’t quite any soil that is the best soil for growing weed we thought we would include the soil we use. This is great soil, and using additional nutrients and fertilizers will make it even better. This organic soil is the best selling soil on Amazon and we are not surprised by that. The soil is made out of high-quality earthworm castings, sea-going fish, crab meal and bat guano. With aged natural products such as sandy loam and sphagnum peat moss, this soil has a light feel. This is a ready-out-of-the-bag soil that you simply can plant your weed plants in and see the seeds turn into beautiful plants. 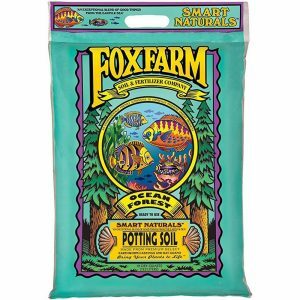 This product is a bit unique and isn’t really considered a “fertilizer,” but we decided to place it under this category because of the way it is used. By simply pouring this liquid fertilizer into any type of soil, you will be able to turn the empty, nutrient-less soil into a hearty place for your cannabis to grow. 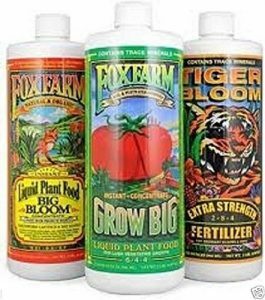 Whether you are growing large plants or small, you will be able to take advantage of this formula, as the nutrients in this formula are very concentrated and are known to have a positive effect on the yield and speed of growth of your plant. As it comes at an affordable price, we highly recommend you get this formula and try it on your soil. In addition to having a wide variety of elements that are essential for your plant, worm castings help incredibly with improving root growth. 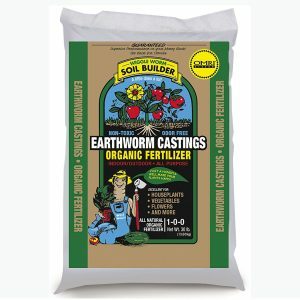 Worm castings are created by feeding the worm with nutrients inside soil that are known to have great benefits to soil. When these nutrients are digested by the worm, castings left behind are known to be a “super humus” that can add lots of nutrients to your fertilizer or soil. Although not cheap, we highly recommend that you get worm castings to improve your plant’s’ growth and yield. Whether you have a hydroponic setup or soil setup, this fertilizer set is amazing. This is because this set comes with three different options: One for enhancing flavor, one for enhancing nutrition, and one for enhancing the aroma. This will allow you to choose and mix the ones that you want your cannabis to have so that you have the perfect cannabis to use. 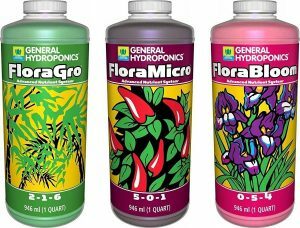 As it already comes with a high concentration of nutrients, you won’t have to use anything else with your hydroponic setup except the General Hydroponics Flora Grow. The cost of this product is also quite affordable, so even if you have a decently large setup, you won’t break the bank with this nutrient. Having the best nutrients for your weed will allow you to grow cannabis that has high yields, is safe to use, and grows fast. This is why we highly recommend that you take some of the nutrients we recommended above to apply to your fertilizer or soil to get maximum yields and benefits with your harvest!